We know firsthand what it’s like to be a parent of a millennial nurse. My millennial daughter is married to a travel nurse. They are out living the dream in their “tiny house” on wheels with a beautiful cream-colored golden retriever named Arlo. Jennifer, a nurse herself for 43 years, is a mother to a millennial travel nurse living the good life in California. We each understand the challenges of raising millennials and the challenges of keeping millennials engaged within your organization. Millennials have a different view of the world than previous generations. Gauging what’s important to them and how to keep them engaged can be daunting. According to the Advisory Board, engagement for a millennial is not a predictive index of intent to stay with a company. Most people think engagement equals loyalty. This is not the case with the millennial nurse. The millennial nurses of today have witnessed their parents go through the ‘great recession’ where they witnessed their parents struggle as loyalty was thrown aside by their employer. The millennial nurse enters the nursing profession with student debt unseen in other generations, creating the desire to move ahead financially to pay down these debts. The millennial nurse is technologically savvy and enjoys being intellectually challenged in new ways; they will resist outdated training and onboarding methods. The millennial nurse also prefers a set schedule, so they can plan their “experiences” which is more important to them than owning a big house or a nice car. As professionals in the healthcare industry and parents to millennial nurses, we suggest switching engagement tactics to drive loyalty from millennials. Deciphering what engagement tactics will work is not as complicated as it sounds. Our best advice: think like a parent and be open to trying out our several tactics below. Provide a platform for opinions. Millennial nurses want to have input on some issues and appreciate when their opinions are valued. This makes millennials great contenders for a shared governance model. Giving millennial nurses ownership over projects allows them to have a voice in their practice. During staff meetings, millennial nurses have the opportunity to provide input and voice their opinions on the projects that they own. Their peers also have the chance to give feedback, so that the nurse feels valued and respected. Giving the nurse decision-making influence sets them up for future career advancement and anchors them to the organization. Understand the environment millennials have grown up in and adapt. As mentioned previously, millennials are burdened with student loan debt more than any other generation before. The average student loan debt for Class of 2017 graduates was $39,400. Given this financial pressure, millennials are looking to advance more quickly in their careers to earn a salary that will offset the added loan payments. Due to the impracticality of quick career advancement – millennials will often take alternative routes in nursing such as travel assignments to earn more money faster. Since millennials are flocking toward travel nursing, it’s essential to offer bonuses and paths to career advancement within your organization to get them to commit. Get rid of formal critiques and establish mentorship programs. Millennials also prefer coaching or mentoring over formal critiques and reviews. Constructive criticism is the preferred method of addressing concerns and improvement among employees. However, millennials are more open to receiving feedback from an ally – someone who is championing for their success. A well-matched nurse preceptor has much power in determining the loyalty of a millennial nurse. Nurse preceptors have the responsibility to address any concerns of the millennial nurse and offer guidance to any problems. This role requires a lot of empathy and intuition to establish a relationship of trust and mentorship among millennial nurses. What is most important to your job satisfaction here? What type of recognition do you like to receive? What is one thing I can do today to make your work more enjoyable? Asking these questions will show a millennial nurse that you are committed to their success and happiness. They, in turn, will commit to you and the organization if they know you have their best interests in mind. Tailoring engagement tactics to bring forth loyalty does not have to be a significant project, nor will it require extra time. Following the above guidelines and tracking retention will provide a great baseline to see if your millennial nurses become more committed to the organization. 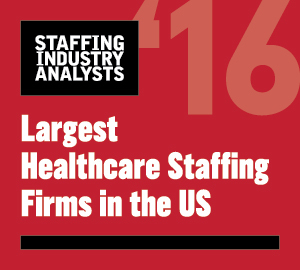 Brian Hudson is an experienced healthcare staffing executive with more than 20 years of experience in strategic leadership and healthcare staffing, including international nurse staffing. He can be reached at bhudson (at) avanthealthcare (dot) com. Jennifer David is vice president of clinical operations for Avant Healthcare Professionals. An RN, BSN and MHA, she has 43 years’ experience in nursing.